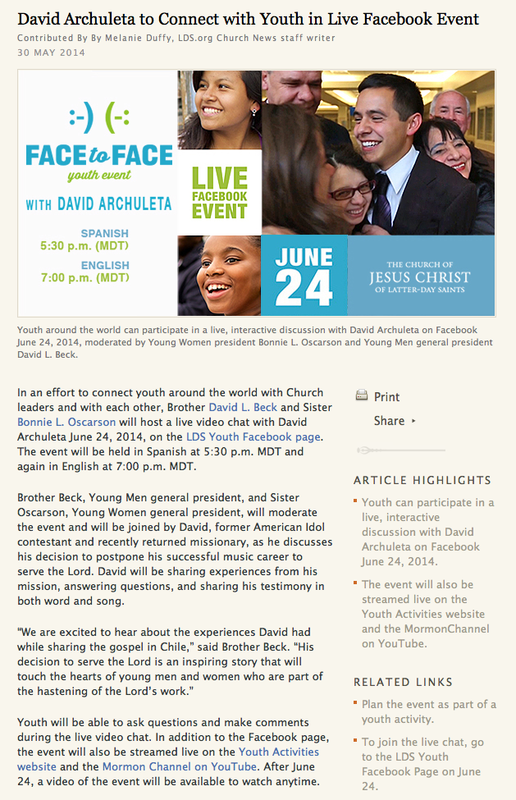 This entry was posted in Fan experience and tagged David Archuleta chats bettah. Bookmark the permalink. I was glad that I could pick more than one answer. I’m not Mormon but planning to listen to the chat. Of course I want to hear him sing, and I find his mission experience interesting. I’ll be listening in if I am home on time that night. Not Mormon either but interested in his mission experience too and yes….of course always love to hear that voice. I wonder if he will ever let his hair grow. He may have decided he likes the no fuss short hair. I like it longer but he’s still a handsome guy with the short hair. Yes he is still a handsome guy with his hair short. Maybe he is used to having it short now. Who knows, in future he may grow it out a bit (or not). Sure is blessed with great hair though!